SWEEET!!!! 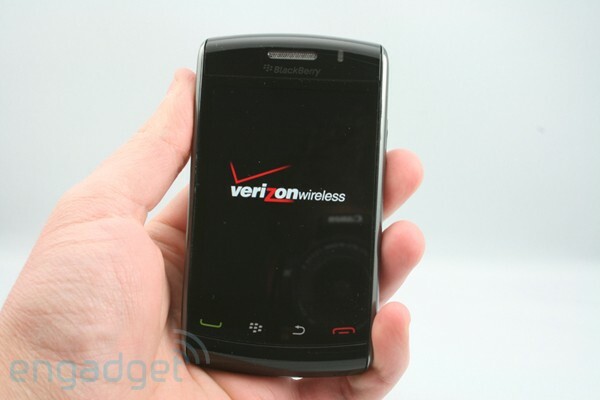 Engadget got their hands on a BlackBerry Storm 2 ("Odin") and has given it a great unofficial first hands-on look. You can click the image above to jump over for lots of photos, a video and some initial impressions. The unit they have isn't quite fully functional (apparently the first batch of Storm 2s floating in the wild are running the Storm 1 OS so the display isn't registering input so well, hence it won't let them click OK to the user agreement and they can't get into the OS), but they still do a great job going over some of the things we can expect in this next-generation touchscreen from RIM. Gone is SurePress (so much for that Best Mobile Technology Breakthrough award?!) and according to Engadget "it is a leap from the previous Storm incarnation with sleeker style, more heft, and a click-free display that doesn't rattle about, all of which collaborate to make the Storm 2 feel a wee bit higher end." There's been lots of talk that the Storm 2 will still feature a form of tactile feedback (True Press), but they couldn't quite put that to the test just yet. Be sure to sound off in the comments here and let us know what you think!